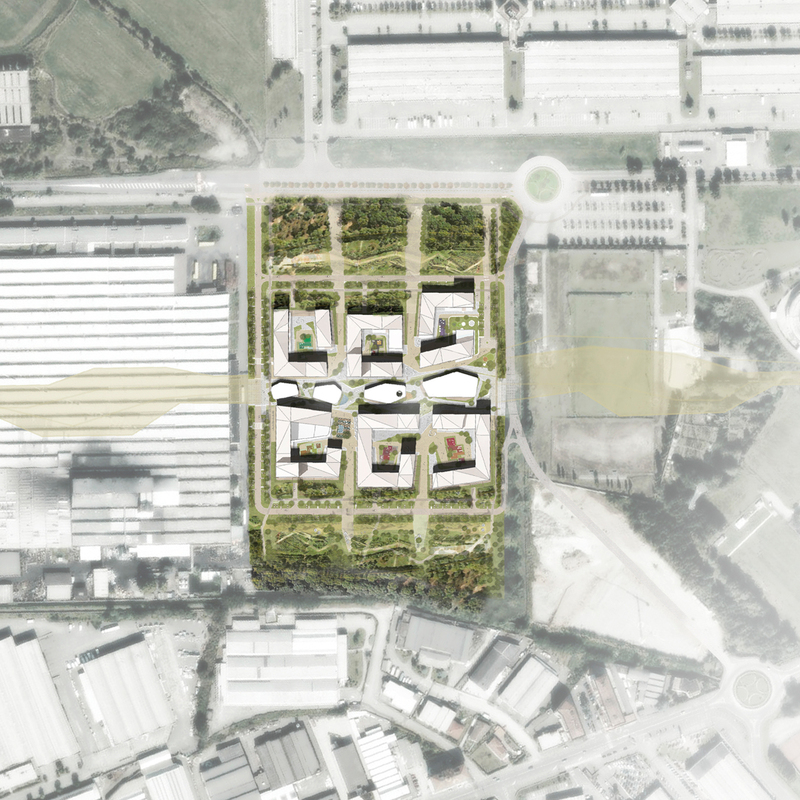 Second prize in the restricted competition for a new mixed use complex held by Prelios SGR. 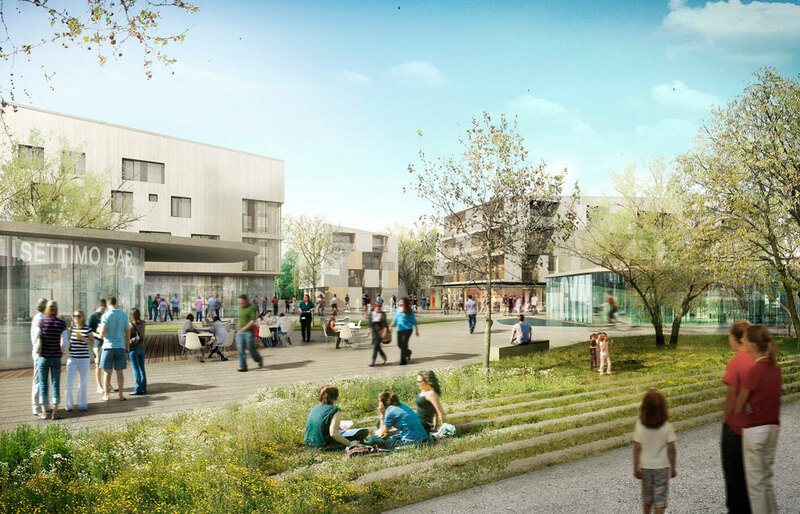 IDENTITY OF THE NEW DISTRICT is determined by a balanced synthesis between public, mixed and urban density functions. 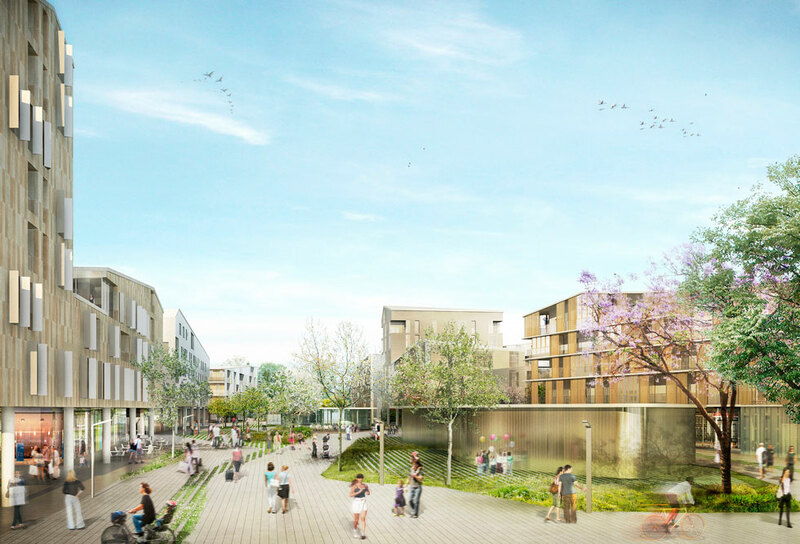 The Boulevard assumes a central role in the definition of urban identity. sketching the new district skyline. 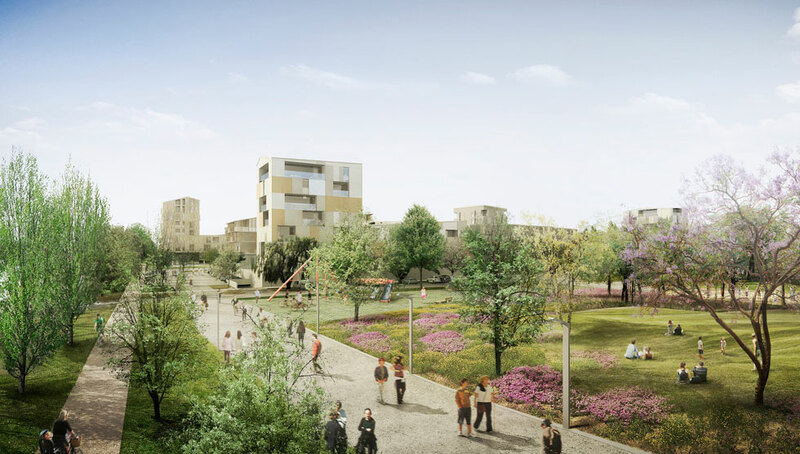 URBAN STRUCTURE OF THE AREA: The project aims to define and arrange the current structure of the Manzù street, restore the alignment of the road and provide the area with some quality public spaces giving a unitary reading of this badly articulate area. 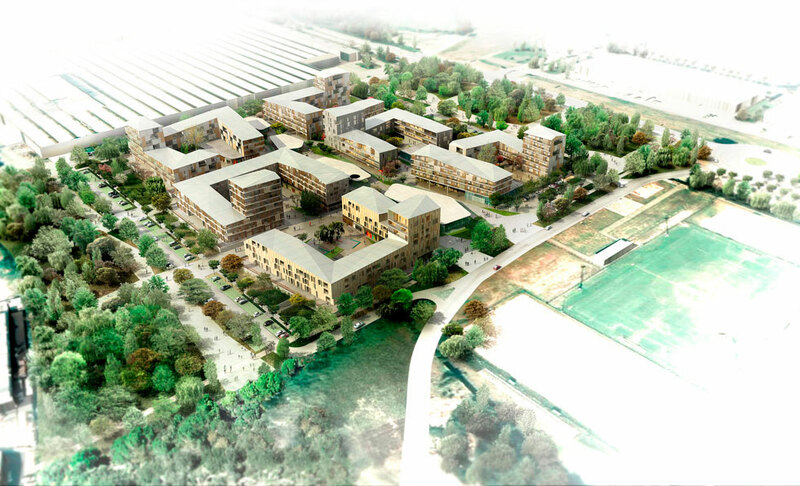 RAILWAY AND NORTH BUILDINGS: The project takes into account the presence of the railway line and the buildings on the north side, minimizing the visual impact and noise on the area. This was achieved through the creation of two green filter areas, the strategic location of the volumes within the lot, the study of the sections, the heights and the visuals. ACCESS AND CIRCULATION: the access to the area is located in the intersection of Pestagalli and Manzù Street. The vehicular traffic is led to an interior street accessing the underground parking. The movement within the area is exclusively pedestrian. 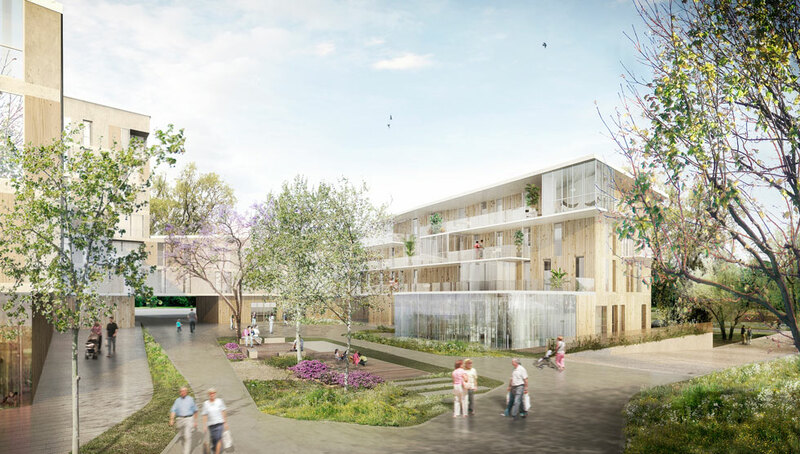 VOLUMETRIC ARTICULATION: The project proposes linear buildings GF+ 4 and GF+11 storey towers, creating a rich volumetric composition, ensuring the best possible insulation and controlling the shadows between the buildings . 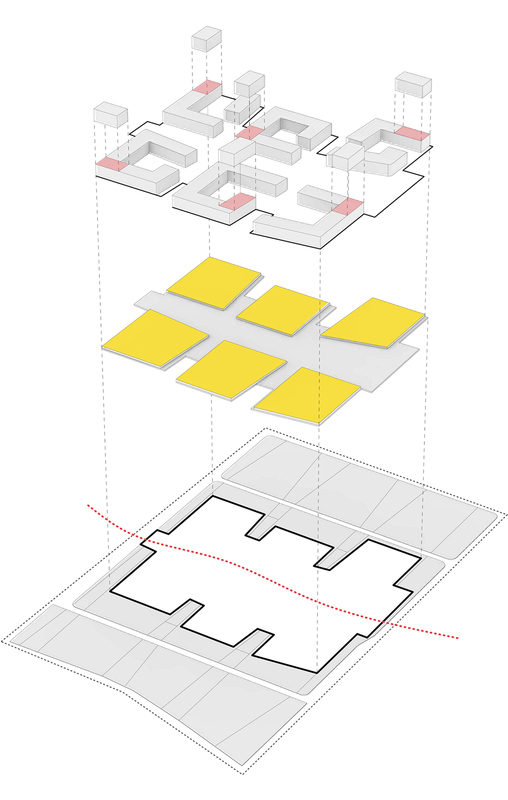 REALIZATION BY PHASES: Possibility to divide the intervention site into three areas so as to be able to proceed in stages for the design and construction of the project.